The Isle of Wight was a sleepy backwater until the early 19th century and most of the population were reliant on agriculture to make a living. But the construction of Ryde Pier in 1814 and regular visits by Queen Victoria to Osborne House saw a change in the Island’s economy and it became more dependant on tourism. Public transport did not exist on the Island until the late 1700s, but with the coming of the railways and upgrading of the highways, visitors could take advantage of modern travel and visit all parts of the Island with speed and in comfort. Trains, Trams, Planes, Hovercraft, Bus and Boats are all included in this “Transport of Delights”. The first colour film was invented in 1911, but only wealthy amateur movie makers could afford to use it in those early days; for recording special family events such as birthdays, holidays and Christmas. It was not until the 1950s, when Kodak invented Kodachrome, that the ordinary man on the street was able to make colourful home movies. Unfortunately, early colour film was unstable and, unless stored correctly, would deteriorate and lose colour, as well as becoming brittle. The Image Films Archive contains many reels of colour home movies and with the aid of the latest digital processing has been able to restore some footage to its former glory. 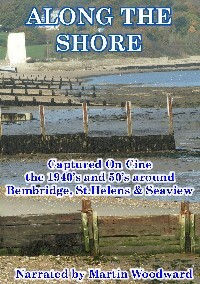 Ventnor beach in the 40s, the first Hovercraft service in 1962 at Appley, Sandown Zoo in the 70s, Snow on the Island in 1947 and West Wight in the 1950s are just some of the clips featured on this DVD. Join us on a journey around the Island of the past, over four decades, from the 1940s to the 1970s in colour. 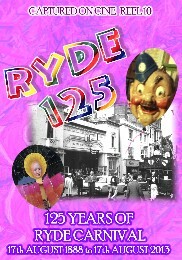 Ryde Carnival is reputedly the oldest in the country. The first recorded procession was held on 17th August 1888. Cine photography was in its infancy, so we have no moving images of those early days . Our earliest footage dates from 1935 and we travel through the decades with film from the carnival heydays of the 50s, 60s and 70s. Plus 2004 and 2013. Most processions had at least six local youth bands interspersed throughout the tableaux and were attended by such regulars as The Ryde Buccaneers, Warners Holiday Camps, The Keystone Kops, local industry, Public houses, The Ventnor Jazz Band and, of course, the Carnival Queens with their attendants. This is not a history of Ryde Carnival, more a celebration of 125 years of fun, so join us as we journey back to a time when PC meant a Police Constable and ‘health’ and ‘safety’ were not linked together. Aspect Ratio 4.3, Stereo Sound, Pal TV region 2. Running time 65 minutes. Sophie the Seal, the “Queen Mary” hedge, top secret rocket sites, flying boats and Steam Trains to Newport, all long gone and forgotten. But, due to the invention of cinematography and with the help of amateur film makers over the last 80 years, Image Films is able to bring these scenes, and many more, back to the present. Join us on a journey round “Yesterday’s Island” and step back into the past with one hour of pure nostalgia, including visits to Little Appley School in 1947, Blackgang in 1960 and Sandown in 1937. 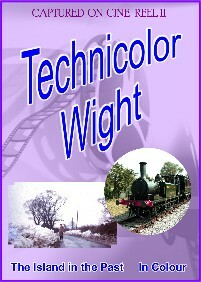 In the 40th anniversary year of the Isle of Wight Steam Railway, this DVD also contains footage from January 24th 1971 of the transfer of railway rolling stock from Newport to Havenstreet. Aspect Ratio 4.3, Stereo Sound, Pal TV region 2. Running time 70 minutes. 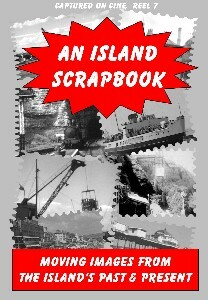 From Ryde to Shalfleet, Cowes to Ventnor and many places inbetween, “An Island Scrapbook” contains a pot-pourri of moving images depicting the changes that have taken place on the Island over the last 80 years. This is reel 7 in the “Captured On Cine” series from the archive collection of Image Films, and includes previously unseen footage of the Isle of Wight from the 1920’s to the present day. 50 minutes of Nostalgia featuring Ventnor in the 30’s, 40’s and 50’s, Ryde in the 1960’s as well as Newport, Sandown, Shanklin, Cowes and Shalfleet. On the North-east coast of the Isle of Wight, from Seaview to Bembridge, can be found many sheltered bays, harbours, sandy beaches and secluded moorings. Explore this coastline and its activities with archive cine film from the 1940s and 50s, including rare footage of Seaview Pier, St Helens tidal Mill and the Spithead Hotel. A short detour inland is made to the 1951 Bembridge Carnival before returning to look at the Lifeboats, Golf on the Duver, Redwings and Seaview Regatta. This footage depicts a generation recovering from the war and determined to enjoy the simple pleasures to be found ‘Along The Shore’. At the heart of maritime activities on the Island have always been the twin towns of East and West Cowes. Situated on the tidal estuary of the River Medina and linked by the floating bridge the area is still regarded as the premier yachting port of the world. The waterfront has changed considerably over the years but glimpses can still be had of names synonymous with shipbuilding and the ancillary trades that built up around it. J. Samuel White, Saunders-Roe, Ratsey and Lapthorn, Clare Lallow, Henry Bannister and Uffa Fox, to name just a few of the many benefactors over the years. But we are not here to reminisce on the maritime history of Cowes, but to look at an event that has taken place ‘One Week In August’ every year since 1826. The first recorded carnival procession in England was at Ryde, on the Isle of Wight, in 1888. Cine photography was in its infancy, so we have no moving images of those early days . 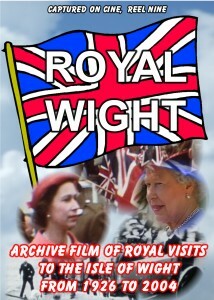 Our earliest footage dates from 1951 and we travel through the decades with film from Ryde, Bembridge and Shanklin carnivals. 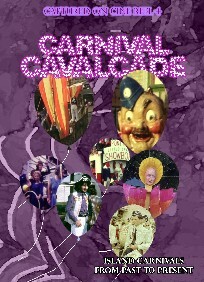 At one time there were 16 carnivals held on the Island during the summer months. Most processions had at least six local youth bands interspersed throughout the tableaux and were attended by such regulars as The Ryde Buccaneers, Warners Holiday Camps, The Keystone Kops, local industry, Public houses, The Ventnor Jazz Band and, of course, the Carnival Queens with their attendants. This is not a history of Island carnivals, more a celebration, so join us as we journey back to a time when PC meant a Police Constable and ‘health’ and ‘safety’ were not linked together. Mr Frank Mellanby was a keen amateur movie maker and using 16mm colour film in the 40’s, 50’s and 60’s he captured on cine a unique record of Island life. He was the proprietor of Nicholsons, a photographic chemist on Ryde Esplanade, and being in the trade had access to all the latest cine equipment for making his films. These films have recently been discovered after being mislaid since his death in 1973. Image Films are still cataloguing the collection, but so far have been able to restore and preserve some priceless footage. 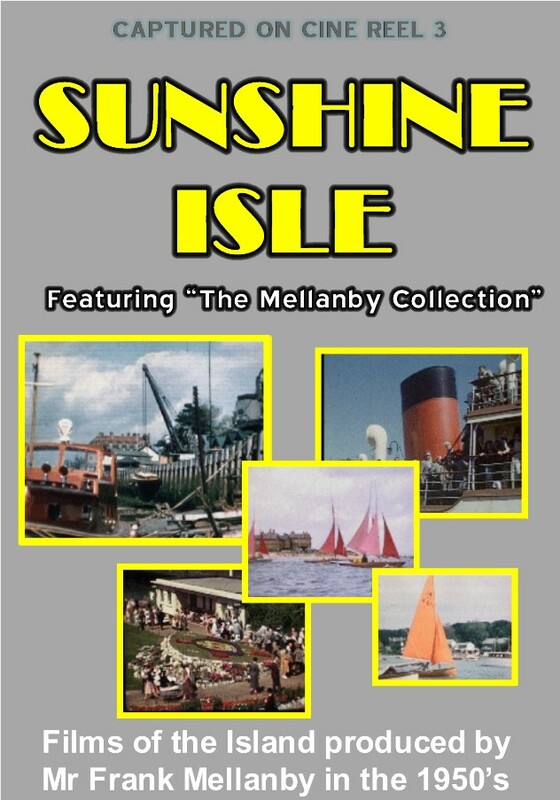 Featured on this DVD are three films made over 50 years ago by Frank Mellanby. Two have a nautical flavour, “The 1953 Royal Fleet Review at Spithead” and “A Trip Around Bembridge Harbour” which includes footage of one of the few one design classes of boat still in existence today, the Bembridge Redwing. 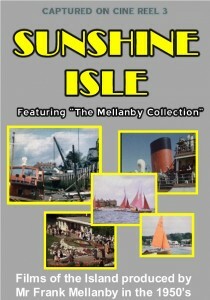 The third film is “Sunshine Isle”. 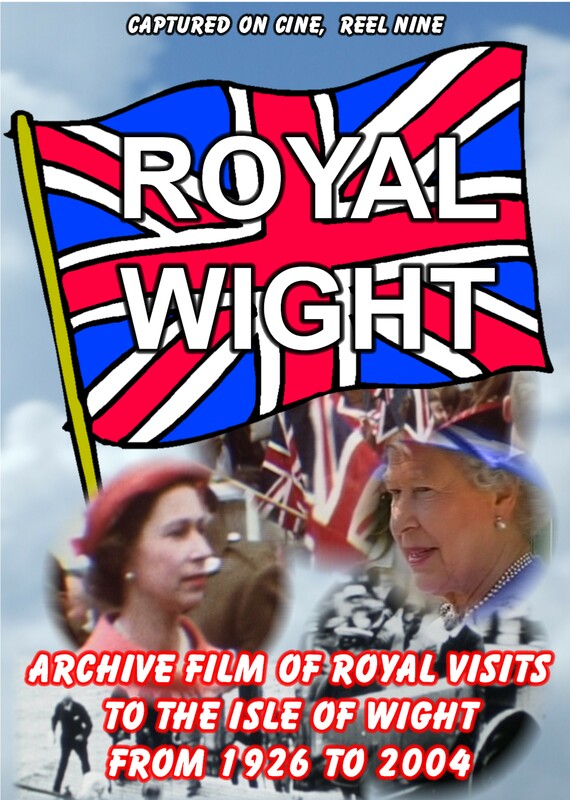 Narrated by Alvar Lidell, who, during the Second World War, was a BBC news announcer, this film was commissioned by the Isle of Wight Publicity Council and made by Frank with two other members of the Isle of Wight Amateur Cine Society of which he was chairman at the time. Over the years the Isle of Wight has seen many changes, especially some of the town skylines that have changed beyond all reconition. Where we now shop for convenience food once stood a thriving cattle market, the bus station once resembled a bomb site, and cinemas have been converted into pubs and even shops. We quickly accept all these changes and forget what our surroundings once looked like. Our children take it for granted that all these buildings have been here since time began and accept them as part of their daily life. Do you remember when Newport had a Railway? Or when Steam trains ran to Ventnor, and Shanklin had a pier? 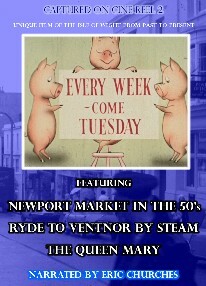 “Every Week Come Tuesday” may jog you memory and help you recall lost buildings, places and faces of everyday Island life over the last fifty years, including the weekly Market held in South Street, Newport, and a journey by steam train from Ryde Pier Head to Ventnor in the late 60s, as well as a trip aboard the “Queen Mary” from Southampton to New York in 1965. Before the advent of Video and the electronic age the enthusiastic moviemaker who wished to capture holiday memories or special events used Cine Film. Over the years thousands of reels have been taken on the Isle of Wight. Once processed they were projected in darkened rooms for family and friends perhaps once or twice a year and then placed in a box in the attic to be forgotten until the next generation discovered them. Unable to view the film, because of the demise of suitable equipment; and the knowledge to operate it, the reels were usually consigned to the dustbin and lost forever. But now, with the help of digital technology, it has been possible to salvage some of this footage. 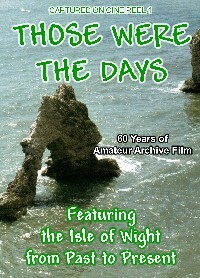 Travel back in time and rediscover forgotten scenes and events filmed on the Island by Amateurs. 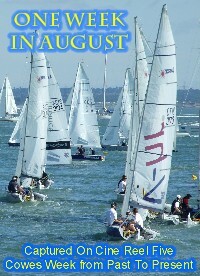 Including, Boating at Alverstone 1946, Ryde Carnival 1956, Steam Trains on Ryde Pier 1966 and Easter Cycle Race 1967.